The SeaLife DC1400 upgrades the popular DC1200 camera, with additional features for beginner and intermediate level photographers. The price is right, at $499 USD for the camera + housing, $829 with a strobe. 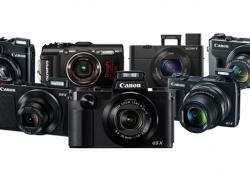 Read on to find out what exciting new features this camera has. The mode button switched between video and still modes. On the housing, this is called "video". The menu button is for the menu. Taking photos, reviewing photos and changing modes is all fairly easy. Front view of the SeaLife DC1400 underwater housing. Rear view of the SeaLife DC1400 underwater housing, showing the "piano key" design. 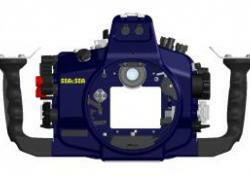 Front view of the SeaLife DC1400 camera. Rear view of the SeaLife DC1400 camera. What's in the DC1400 box? Lots of good stuff. You get the standard cables and well-written manuals, along with a couple desciccants, a lens cloth, cleaning brush, international plug adapters, a diffuser for the internal flash, and an adapter for adding a strobe. Nice job, SeaLife! 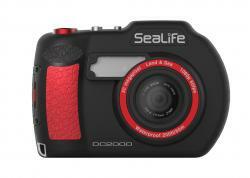 The SeaLife DC1400 has several focusing modes, including 2 "macro" modes. Which mode you use effects the allowed focusing distance, and how quickly the camera can focus. Infinity mode - very fast focusing, basically there is only shutter lag. But subject should be at least 3ft away. Best when shooting sharks, pelagics, or anything that won't come too close. Auto - pretty fast focusing, but won't focus closer than 1ft - which will be frustrating if your subjects gets closer than 1ft. Good for fish swimming nearby. There are 33 scene modes, but you really only need a couple of them. Dive and Snorkel mode both seem to add the same amount of red back into the photo, for ambient light underwater photography. However, it's best to learn how to use a white dive slate and manual white balance. When using a strobe, external flash manual mode is the way to go. When using the internal flash, none of the modes seemed to give me control over my settings, and some of them wouldn't even let me set the ISO. Av and Tv mode gave strange ISO or shutter speed settings. "P" mode seemed just as good as any, defauting to F2.8, 1/60th - not ideal for underwater though. Macro mode, zoomed in 2/3rds of the way: 6.5cm (2 1/2 inches). Not sure why, but this is the "sweet spot" in macro mode. Supermacro mode (zoom is locked to 1/3 of the way in supermacro mode): The DC1400 can photograph an area as small as 2.5cm (1 inch) across, but you will be very, very close to the subject - which means your working distance is tiny, and you may have a hard time lighting the subject. Taking a photo 3cm (1 1/4 inches) across gives you a little bit of working distance. One thing to note - in this mode you can't fire the internal flash unless you are in external flash mode. There is a nice fisheye lens available for this housing, and also for the DC1200. While not a super-wide lens, it is much better than not having one, and at $280 it is an excellent value. Look for sample photos coming soon! Understand that inside the housing, you'll use the zoom control to move left and right in the menus, and the shutter release instead of the "select" button. If you don't know this, using the camera in the housing will be very frustrating! Change image stabilization on "ON"
Go to 2nd menu, turn "AUTO-OFF" to "OFF"
"Full manual" mode allows for adjustment of aperture & shutter speed, this is very nice. Shutter speed can be adjusted in one-stop increments, from 1 second to 1/2000th. Aperture can be set to 2 different values, which are 3 stops apart. I don't consider any of these issues to be show-stoppers for the beginner underwater photographer. They are just minor issues that I felt were worth pointing out. ISO and focus modes are sometimes set back to the auto settings, especially when the camera is turned off in some modes, or you switch modes. For beginner underwater photographers who want a good quality housing at a good price, the SeaLife DC1400 is a good value. The ability to change aperture and shutter speed means that photographers who want to take their photography to the next level can do so, especially when the wide-angle lens comes out. The supermacro capability, and the fast-shooting infinity focus mode gives it some advantages over camera/ housing combinatons that cost much more. The SeaLife strobe is highly recommended when getting this camera. Submitted by angrybadger on Wed, 2013-07-03 14:11. Save your money and buy a higher quality product. Sea Life cameras are not very high quality and they offer no service outside of their warranty. Our's failed with less than 100 dives. We followed all the service recommendations and the camera was never flooded or dropped. It just stopped recognizing sim cards. The really bad part about Sea Life is that they offer no long term service for their products. By the time you buy a camera, strobes and unique accessories you have a substantial investment for a product that can not be serviced and is not very high quality. Ikelite will service their products and you are much better off buying one of their housings with a quality camera. Submitted by Marios (not verified) on Mon, 2012-07-02 03:42. Hello all. I am wondering if buying a flash light or video light is a must for dives less than 40meters depth with a fair amount of sun light. Does it really worth buying flash/video light for just photo shooting? Submitted by MartinMartinez (not verified) on Mon, 2012-05-21 10:44. Can you help me to choose between SeaLife DC1400 Pro Duo (#SL726) or the Sealife DC1400 Pro X2 SL-723. I used to take more pictures than video but some times I whish like to take videos too. Submitted by mike (not verified) on Fri, 2012-05-11 06:17.
i bought this camera with the strobe this year as a push into underwater photography... i do love this camera and have got some great results from using it. i do want to upgrade it already to something that shoots raw and with better lens and settings. but for a beginner underwater photographer i would def recommend this product for the cost it is great. lots of features to get used to, it was very fun to play around with the settings on each dive. Submitted by Merrill M (not verified) on Wed, 2012-05-23 12:46. Mike -- If you are upgrading I wonder if you'd like to sell your used Sealife DC1400 camera, housing, strobe and whatever else you've added to it, to me. I'm looking for a good used one to start with. If you're interested, let me know your original cost and what now have in mind in terms of a price for selling it used to me. Reply to this and we'll figure out a way to contact each other directly. Submitted by Linda George (not verified) on Wed, 2012-04-18 03:15. 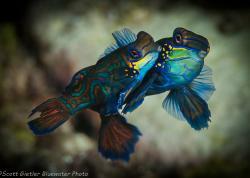 Your website helped me alot for under water photography.Thanks a lot! Submitted by Terry Harrison (not verified) on Sun, 2012-03-25 17:37. I had the video light and would buy the flash if I had been smarter. Maybe for next years trip. Submitted by Marios (not verified) on Mon, 2012-07-02 03:54. Submitted by Jim (not verified) on Thu, 2012-02-09 19:19. Looking at purchasing the DC 1400 (my first UWW Camera) w. either the flash or video strobe. If I win lottery might get both. Question re: if I get the viedo strobe and then switch to the camera will the video stobe stay on and provide some additional light? Will the camera's internal flash also fire with the video strobe on? Submitted by Terry Harrison (not verified) on Sun, 2012-03-25 17:40. I bought the camera with the video light and it worked as advertized. I would recommend that you buy the flash if you are mainly looking for the photos and not video. I bought the video light and after the first few dives, really wanted to change out to the flash. Maybe next year. Bought one in Nov 2011. Submitted by Frederick Williams on Wed, 2012-02-01 23:40. Bought one in Nov 2011. 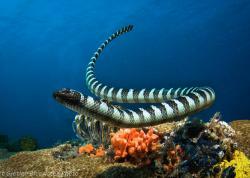 Initially used in St. Lucia, took over 500 pix, mostly under but some above water. Got some great pictures and I give most of the credit to camera, not the operator. Just got ext flash and heading to Fla tomorrow, we'll see if the pix are that much nicer. Will advise on request. Got incredible pricing after a lot of searching. Am sure will satisfy novices and a lot of intermediate photographers. Submitted by Niks (not verified) on Tue, 2012-02-07 14:03. Where did you get yours from and how much did you pay, if you don't mind us asking? Submitted by Terry Harrison (not verified) on Tue, 2012-02-07 16:51. I bought one three weeks ago for $749.00 on Amazon with a $30.00 rebate through Sea Life. I beleive the rebate was only through February 1 though. Submitted by Frederick Williams on Wed, 2012-02-01 23:41. Submitted by George (not verified) on Wed, 2011-12-14 09:53. You mention in your review that there may be a wide angle lens out for the DC1400 in the spring. You also list in the "cons" remarks that there are no threads on the port for adding a lens. How will the new lens be incorporated? 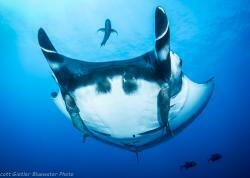 Submitted by Sea life DC1000 owner (not verified) on Sun, 2012-01-15 18:04. If the wide angle lens for the DC1400 Is like the one for the DC 1000 model it slips on the housing (is not threaded on). There is a tether attached from the housing to the lens if you want to take the lens off or in case it falls off. Submitted by George (not verified) on Sun, 2012-01-01 08:23. I've not gotten an answer to my comment on the new wide angle lens for the DC1400. If you've sent a reply could you please resend as I may have deleted it in error. Submitted by sunkissedrose (not verified) on Sat, 2011-11-19 23:12. Submitted by Mike.G on Wed, 2011-11-09 03:00. From the sound of this review it will be a great investment for everyone. There are many things that we see every day that we just have to guess on but you have given a great review and description. Submitted by Mike Rainwater (not verified) on Thu, 2011-10-27 11:57. I would like to review this camera but Sealife wont ship it to a small dive shop that only orders one. Seems like they favored the large order companies first. I preordered mine a week before it came out and as of October 27th sealife is still telling my local dive shop it will be at least one more week if not more. VERY SLOW shipping from sealife and makes me wonder what will happen if I have problems with it later.